This variant gives for diagonals their sum. Using this information you can find value in some cells, ot filter possible. The diagonals are defined from the arrows. 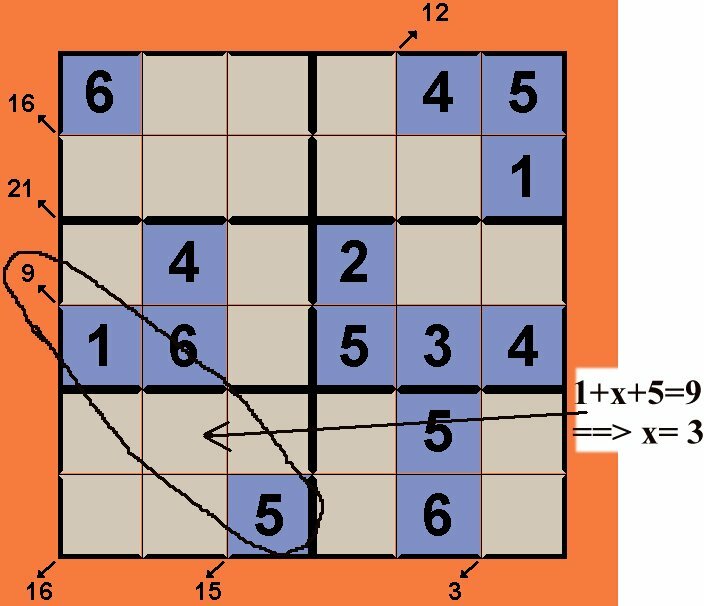 In the diagonal shown, the 3 cells with 1, ? and 5 have a sum equal to 9. So the unknow cell has a value of 3.